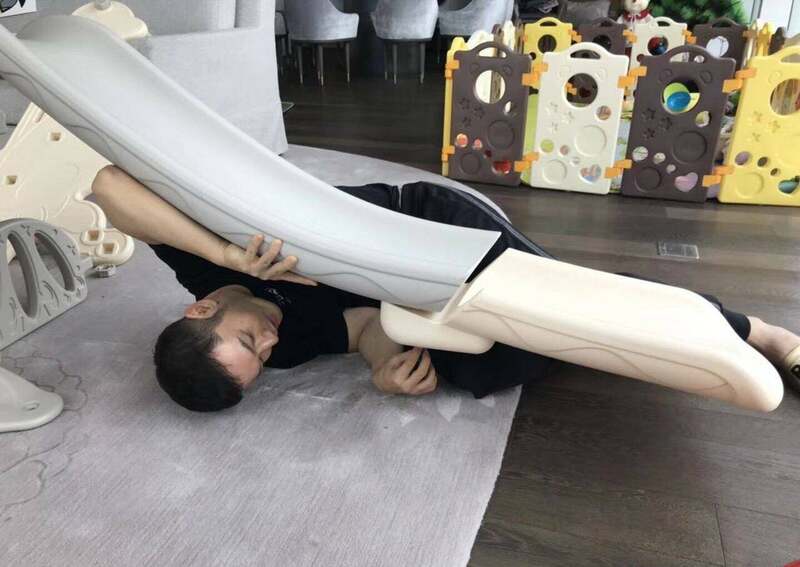 Getting married in 2015, Angelababy (楊穎) and Huang Xiaoming (黃曉明) welcomed their first child, Little Sponge last year. 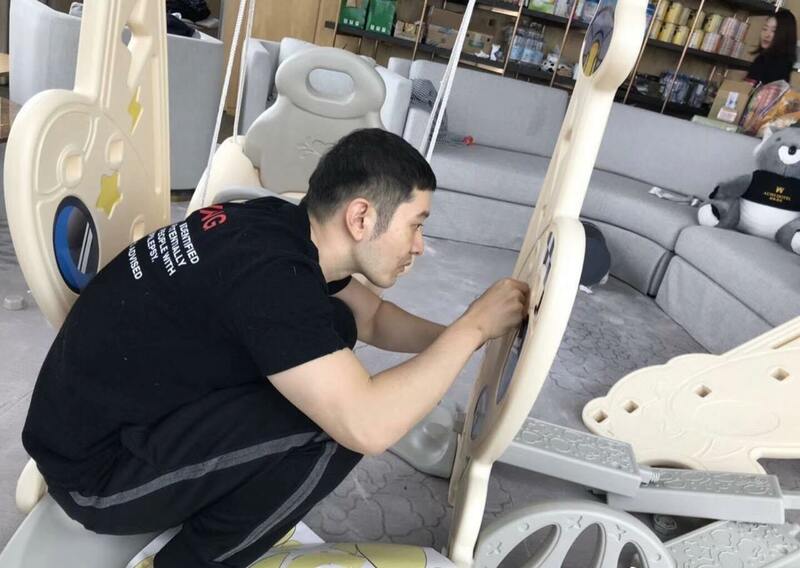 While Angelababy has been lightening her workload to spend more time with her son, Xiaoming recently took some time off to build Little Sponge his very first indoor playground set. 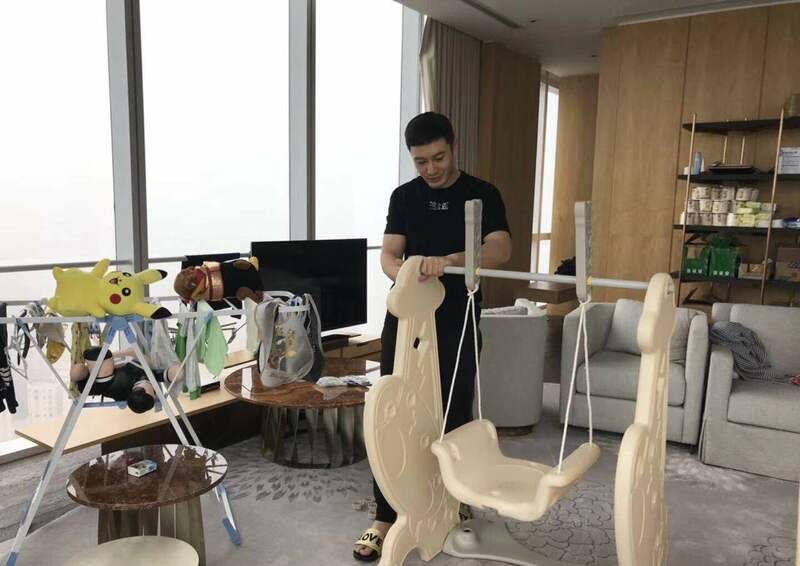 After photos of Xiaoming’s mini project were posted, many fans noticed that the couple’s simple living room was dominated by baby essentials. Besides numerous stuffed animals and toys, there was a large storage unit filled with milk powder and baby food. 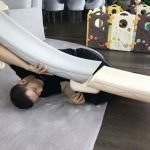 With an abundance of toys to play with and his new playground set, Little Sponge is going to be a happy one-year-old! @wm2017 I’m actually more surprised of the dull color, almost do not look like a house but office. 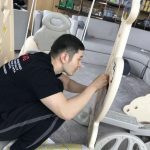 Gray carpet, gray sofa, gray teddy bear, gray curtains, gray slide and gray swing (probably a toy set). 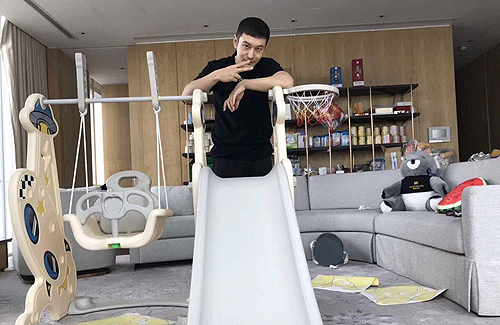 Extravagant houses are not very warm with only 3 people inside, it would be nice to see celebrities appreciate living in small houses. What is the use of paying high utility bills for rooms you cannot split yourself into multiple people to live in each and every room for? But pretty sure their house is much bigger than just that room they’re showing. that means they didn’t spend millions to decorate.There would be much criticism by bloggers if it looked extravagant.